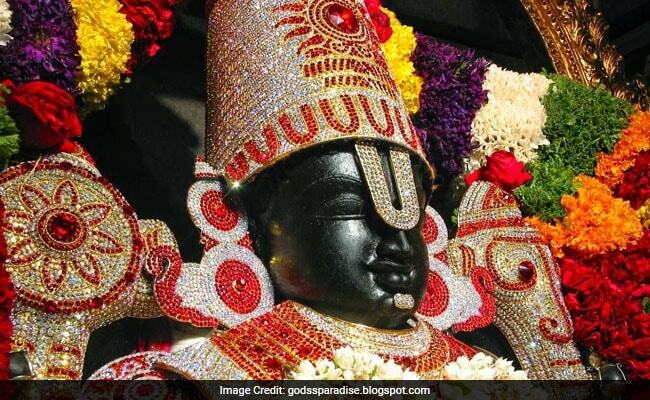 A replica of Tirumala's Lord Venkateswara temple was inaugurated today, ahead of the Krishna Pushkaram beginning August 12. Tirumala Tirupati Devasthanam's Executive Officer D Sambasiva Rao and other temple officials performed the rituals after installing the Lord's statue, marking the inauguration of the replica temple at Swarajya Maidan, as Kanchi seer Sri Sri Jayendra Saraswati graced the occasion. The Kanchi seer performed special puja to the Lord. It has been a tradition for the TTD to build a replica of Lord Venkateswara temple during the Godavari and Krishna Pushkarams, the river festival that comes once in 12 years. "Every day, one lakh pilgrims can have darshan of the Lord at the replica temple. All the traditional daily rituals that are performed atop Tirumala Hills will be performed here as well," the Executive Officer said.